Twenty-dollar wines were the winners at the Winewise Small Vigneron awards this year, proving that when tasted blind, the lower-priced wines can stand as tall as wines twice the price. Only one of the trophy-winning wines costs more than $30 - the sparkling winner, Word of Mouth Isobel's Idyll from Orange, which sells for $40. But four trophy winners sell for less than $20 - the top riesling, chardonnay, rosé and shiraz. The rosé and shiraz were both from Canberra: 2013 Yarrh Rosé´ from Murrumbateman, which sells for just $18, and 2009 Quarry Hill Shiraz, also $18. 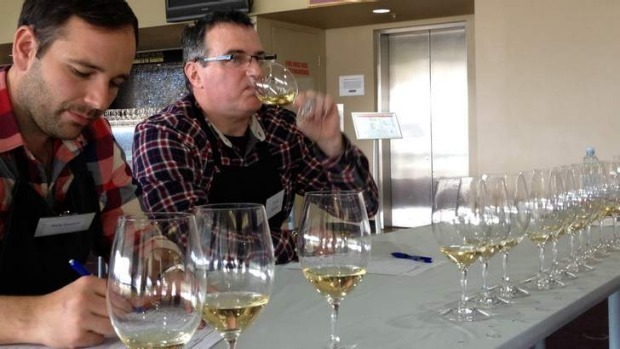 The eight Australian chardonnays tasted blind against the best of Burgundy. The judging panel was headed by Ian McKenzie, a renowned Australian judge and winemaking consultant based in the Adelaide Hills. The Quarry Hill shiraz was tasted for the trophy against the 10 shirazes that won gold medals, and ultimately against the runner-up, 2012 Montalto Pennon Hill Shiraz from the Mornington Peninsula ($30). Quarry Hill is owned by ex-vice-chancellor of the Australian National University Deane Terrell and the wines are made by one of Canberra's most respected winemakers, Alex McKay. 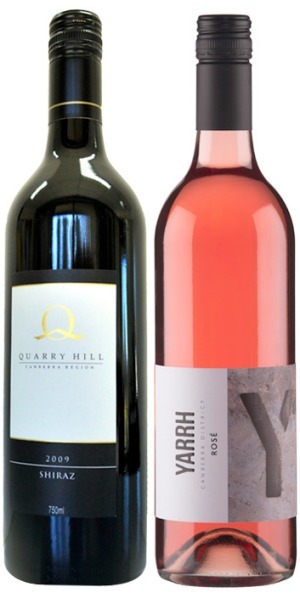 Two medal winners at the Winewise Small Vigneron awards, 2009 Quarry Hill Shiraz and 2013 Yarrh Rosé. Jesberg says the Yarrh Rosé´ deserves special mention. Many producers put little effort into rosé´, which showed in the 21 wines judged, he says, but the Yarrh, made from 100 per cent cabernet sauvignon, met all the requirements for rosé´ - bright, light pink colour, freshness, good fruit intensity, balance and minimal sweetness. Fiona Wholohan is the Yarrh winemaker. The trophy winners might have been cheap, but the same could not be said of the top French and Australian 2010 chardonnays that were lined up for a separate blind tasting by the Winewise team, pitting the best from Australia against the best from Burgundy, the home of chardonnay and its pinnacle. Most of the French wines, four of which Jesberg bought at auction in the US, were more than $200 a bottle and up to $590. The Australian chardonnays, too, were the pick of the crop, costing more than $50 each and up to $140 for Giaconda, one of Australia's best known. Thirteen judges tasted the 16 chardonnays blind, and their scores were tallied. Not only were the wines not identified, the judges were not told which were from Australia and which from Burgundy. An Australian wine won the line-up - and again it was the cheapest in the tasting, Dawson and James from Tasmania ($43). In fact, the top four chardonnays were Australian (see the breakout list), with a French wine finally appearing in fifth place - 2010 Corton-Charlemagne (Domaine Bruno Clair), at $385. Jesberg says the results show Australian chardonnays are world class, and underrated here and internationally. He rejects any suggestion the Australian judges might have a bias towards Australian wines. ''Every judge considers white burgundy to be the best chardonnay in the world and most of them have travelled to Burgundy often,'' Jesberg says. The line-up, from an outstanding vintage in both countries, showed a blurring of styles between the best Australian and the best French chardonnays, with judges not always able to tell which was which. ''Where 10 or 20 years ago it used to be really obvious which was Australian and which was French, that's no longer the case,'' he says. While the French winemakers have backed off the use of sulphur dioxide, which means the wines are at their best younger, probably between three and five years old, the bigger winemaking changes have come from Australia, where grapes are being grown in better, cooler areas. As for the top chardonnay, Dawson and James, Jesberg says until recently the Tasmanian vineyard ''really didn't have a firm grasp of the quality they had and how to handle it''. ''It's taken people like Peter Dawson and Tim James, who are two extremely experienced Australian winemakers, to show how good that material is,'' he says. For aficionados of wine judging, the scoresheets from individual judges make for intriguing reading. Tim Kirk of Clonakilla, one of the country's most celebrated winemakers, takes inspiration from France in his own winemaking. While he scored Australian chardonnays high - two of his top three were Australian - his liking for the French chardonnays is clear. Of his top nine wines (scoring 18 or above), five were French. Compare that with awards head judge Ian McKenzie, who scored 10 wines on 18 points or more, of which a whopping eight were Australian. 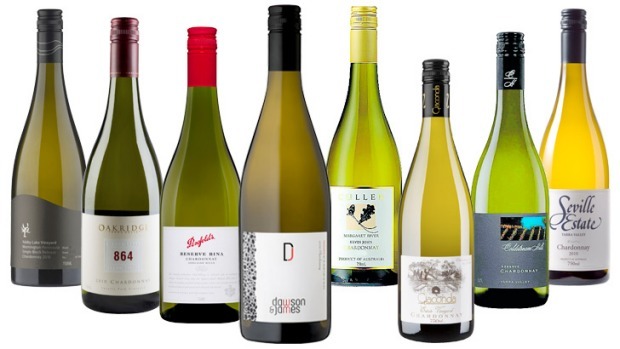 Respected Canberra winemaker Nick Spencer also appears to favour Australian chardonnays, scoring five wines at 19 points in the blind tasting, every one of them from Australia. The Winewise awards, held in Canberra, are open to wineries that crushed 250 tonnes or fewer last vintage, which covers most Australian wineries. There were 1000 entries this year, down a little on previous years, mainly, Jesberg believes, because of the ''pretty ordinary'' 2011 vintage. The white wines, most of which were from the very good 2012 and 2013 vintages, showed well. Unlike other shows, the Winewise awards do not award a champion wine of the show, Jesberg insisting it makes little sense to compare wines of different varieties. >> Numbers in bold are the scores out of 20.